As usual the headline is based on science of the fluffiest kind: an observational study. The sort that doesn’t prove cause and effect. This egg-study is even weaker than usual. Instead of trying to make people remember what they ate last week they actually asked people how many egg yolks they ate decades ago. Quickly: How many egg yolks did you eat in 1987? Do you remember? As usual those who ate more whole eggs during the low fat fad also smoked more etc. So we’re comparing people who ignore health advice with people who try to be healthy. There are thousands of differences between these two groups and it’s impossible to control for them all. But the authors of the study believe that it all comes down to egg yolks. It’s silly and nobody who knows how these studies are done take the results too seriously. But the press loves them. They supply a never ending stream of juicy headlines. Publish or be forgotten. Publish or find yourself out of funding. Publish what your sponsor wants to hear or lose your sponsor. Get into the headlines or go under. Is that what is behind a lot of this nonsense? Is it because research and science depend more and more on private funding? Because they are controlled by those who hold the purse strings? I rather think it is.Unless we get some real independence back into the world of research and science we will see a lot more bad science in the years to come. This observational study will not change my attitude to eggs and their nutritional value. Really no reason it should. I eat eggs almost every day. Sometimes I even eat RAW eggs :) I love steak tartare and homemade mayo :) Haven't died yet, on the contrary - I feel freaking great! 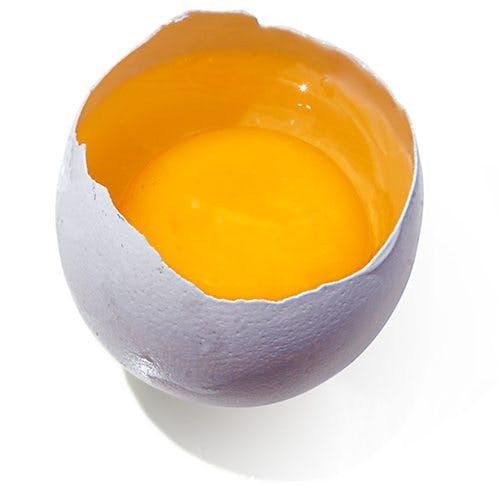 Intresting,, its another study that proves that egg dosent rise ones cholesterol! "The most glaring to me is that total cholesterol, triglycerides, HDL and LDL do not vary significantly across the egg yolk years columns. Apparently what the authors have shown (which is consistent with previous data) is that eating lots of eggs does not increase total cholesterol or bad cholesterol (LDL) nor does it decrease good cholesterol (HDL)." So my conclusion is that it must be the white bread those eating with there eggs! So my advice and conclusion, how is as good as the author of the study! Indeed, but Zepp's conclusion IS just as valid as theirs! Look on the bright side, as fear of eggs goes up, demand goes down and that means cheaper eggs for us. It's a LCHF plot! We'll rule the world with our protected brain function while the stupid people who get their health advice from silly news headlines suffer from carb loaded brain fog. Bwahahahaha!!! i think eggs are only bad for you if you try to smoke it! Zoe Harbcome Egg yolk consumption, carotid plaque & bad science"
As has Mark's Daily Apple. It is exactly this kind of "research" that has informed so much of the new "conventional wisdom" that I spoke about at AHS '12. We rightly ridicule this study, while embracing the "results" of so many others. Gonna have to make me an omlet and think about the headline. given what we know of lipid metabolism does the same happen with consuming fat? If you eat a high fat meal as a one off does your blood lipid profile increase temporarily? If you eat a high fat diet all the time does that change your lipid profile? I was strict vegan for 16 years which means I ate a high carb low protein low fat (all derived from vegetables including olives and soya) diet for 16 years. One day I ended up in A&E (gall stone trouble) they took blood sample...my LDL was at the high end of the spectrum at over 5.5...was that a temporary thing due to the stress of being in hospital or the discomfort of pain or was it the result of a high carb diet? We know that lipids circulate freely between the digestive tract/lymphatics/liver/adipose tissue as lipid/protein partcles because of teh insolubility of fat in the watery plasma. This lipd trafficking is never ending tehre is a kind of dynamic equilibrium. is this dynamic equilibrium affected by diet both in the short term and long term...any lipid biochemists out there? What I have read so far on teh topic is that fat consumption through diet alone cannot directly affect lipd profile. On the other hand and rather paradoxically eating carbs has major effects on lipid profile and triglycerides . Sudden weight loss can also alter the lipid profile in an obese person but is temporary as fat is mobilised from its stores to be burned as fuel. It seems to me plasma lipids are controlled more from the insided than from the outside. In short what do we actually know/udnerstand of our lipid profiles? How does it fluctuate with diet/stress/circadian rythm/gender/hormone level...sure we know this by now...this would solve the dietary conumdrum once and for all without any need of questionnaires and meaningless association studies. Frankly the public, me included are tired of bad science, half truths conflicting advice. Would it be a very very bad idea to do this high fat low carb diet and actually smoke? Socially or otherwise... or, is it as bad as any diet and smoking....? !